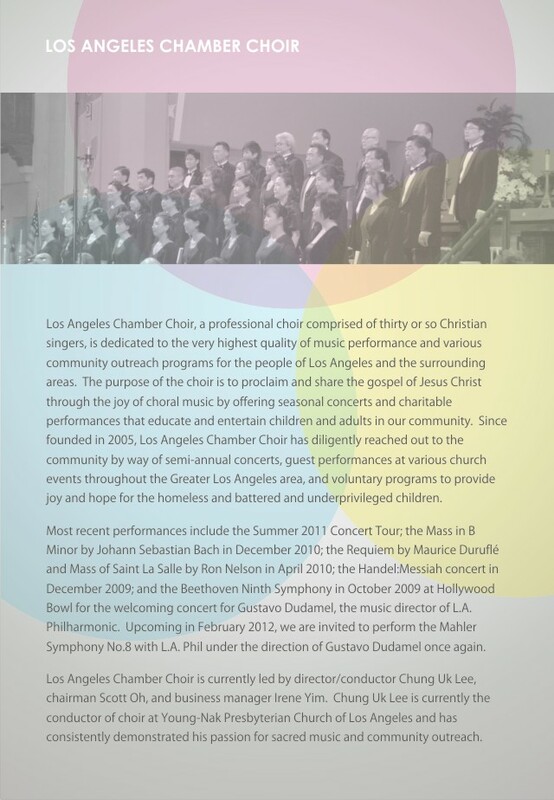 The Los Angeles Chamber Choir is performing its first concert of the year 2019 in collaboration with Ensoma Creative, a semi-professional community choir with very talented and young members led by conductor Townsend Losey. We will be performing Handel’s Dixit Dominus, setting of the text from Psalm 110, followed by JS Bach’s Magnificat, from Luke 1:46-55. 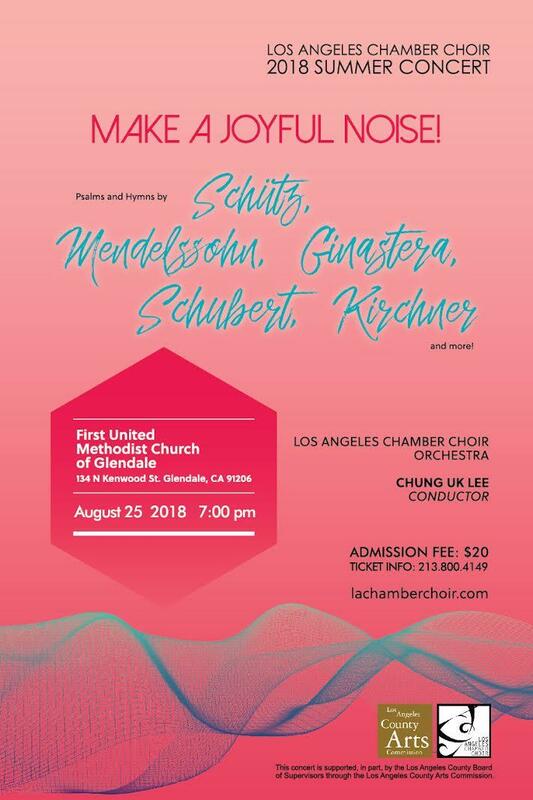 Los Angeles Chamber Choir kicks off its 2018 season with a very special concert. We have recently lost a long time member and dear friend Moon Young Lee to a cancer. 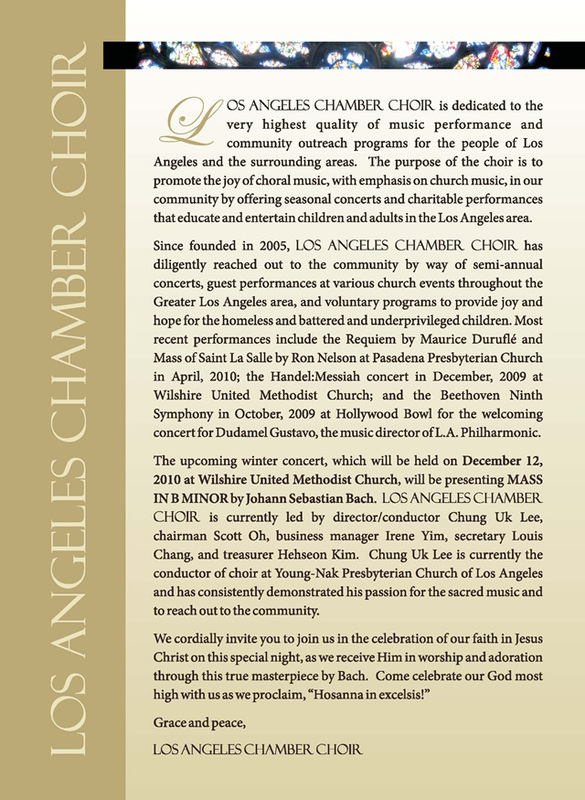 LACC will dedicate this concert to his memory. Moon was not only an intricate part of our choir, he was a model of dedication and goodwill. He brought comfort and sense of serenity to those around him. LACC will honor his life with J.S. 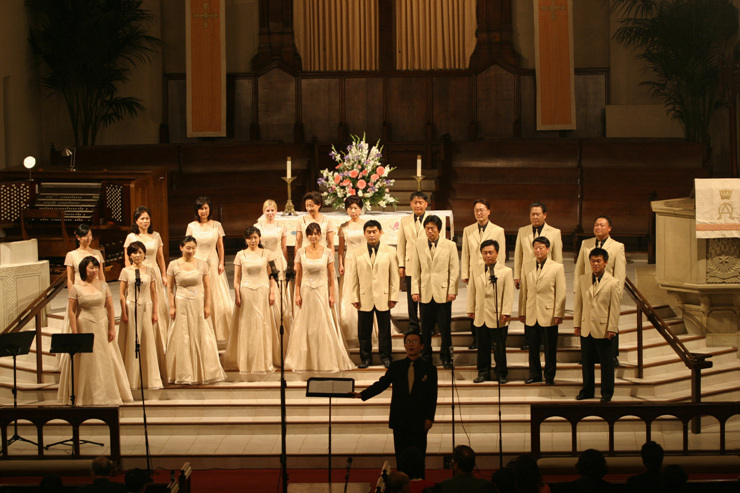 Bach's Cantata No. 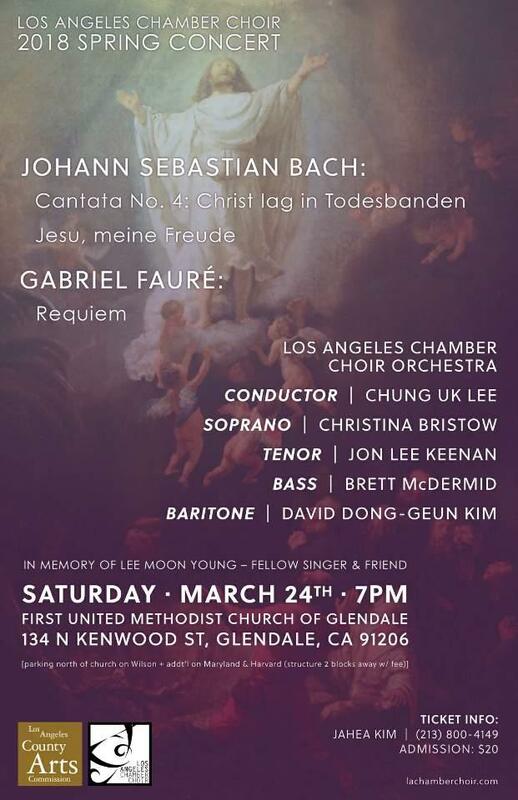 4 and Jesu meine Freude, followed by a very special performance of Gabriel Faure's Requiem. Please join us for this very, very special night on March 24. 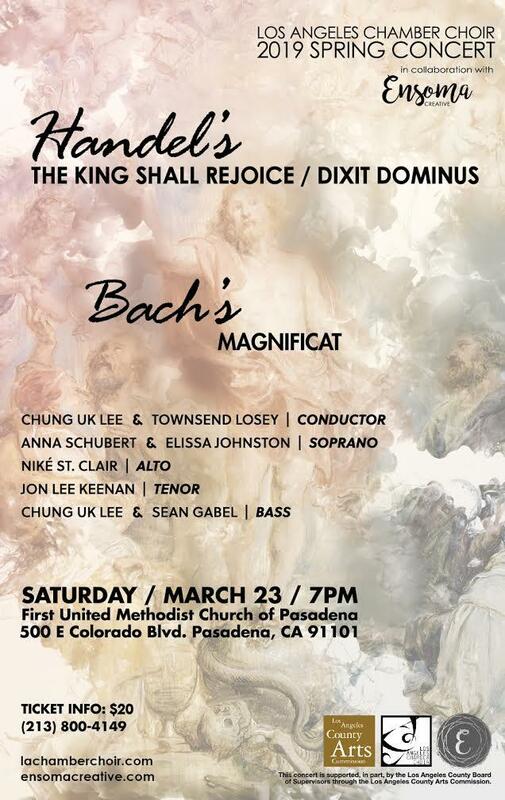 After Bach's St. John's Passion in April, Los Angeles Chamber Choir comes back in just 4 months to present a very different concert in Orange County. 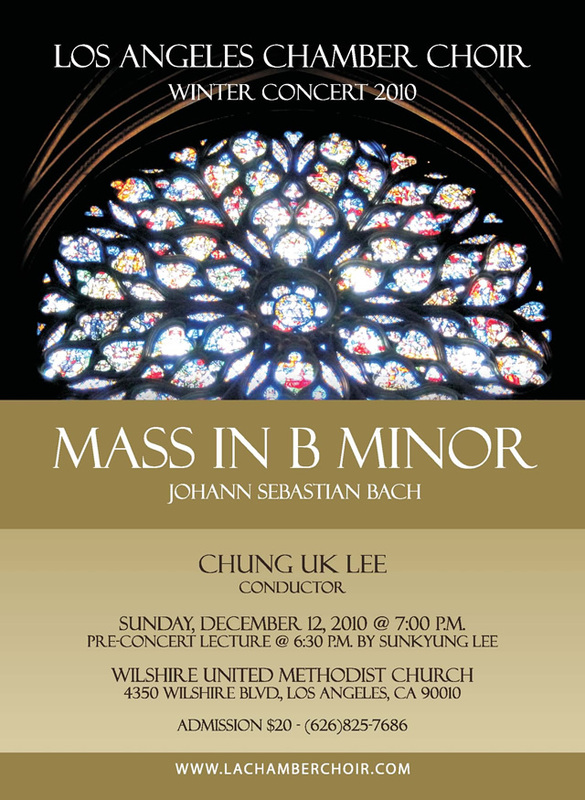 This is the choir's first official visit to Orange County, and it is very excited and honored to present various choral works in order to benefit the Korean American Special Education Center. 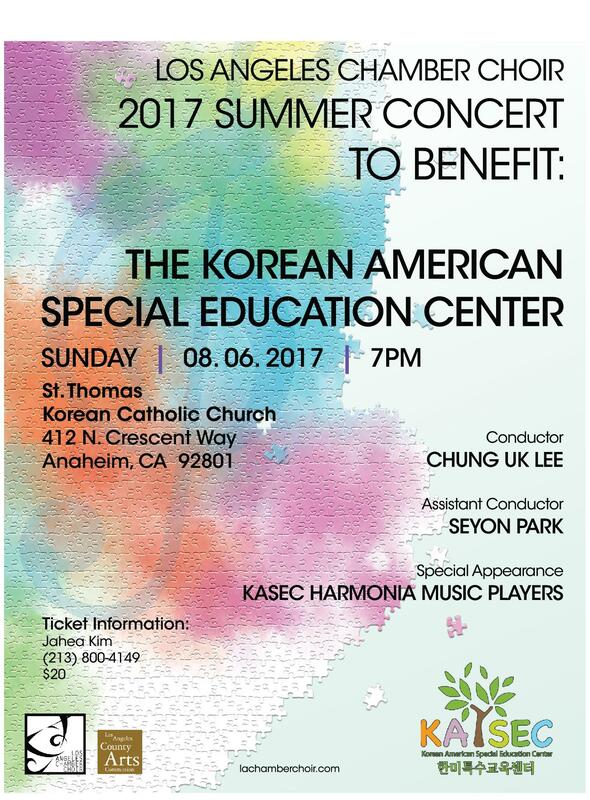 We encourage you to come out to St. Thomas Korean Catholic Church on Sunday, August 6 to support us in this enriching and worthy concert to benefit those who help children with special education needs. 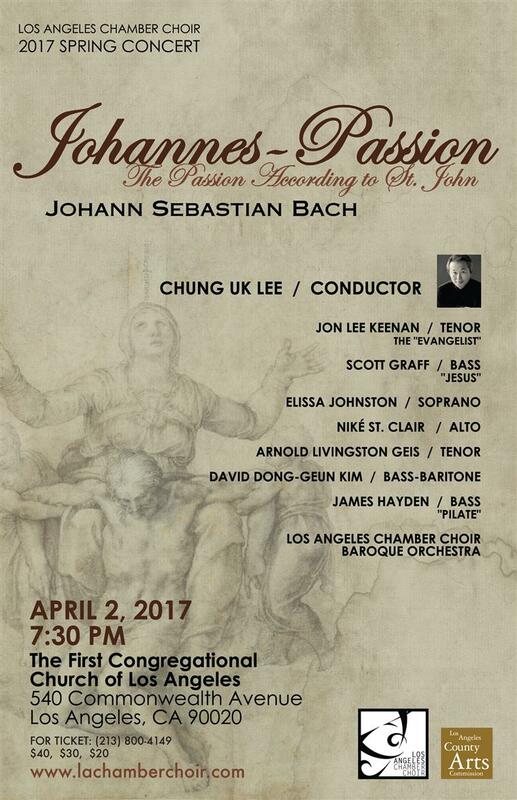 Los Angeles Chamber Choir will perform The Passion According to St. John. 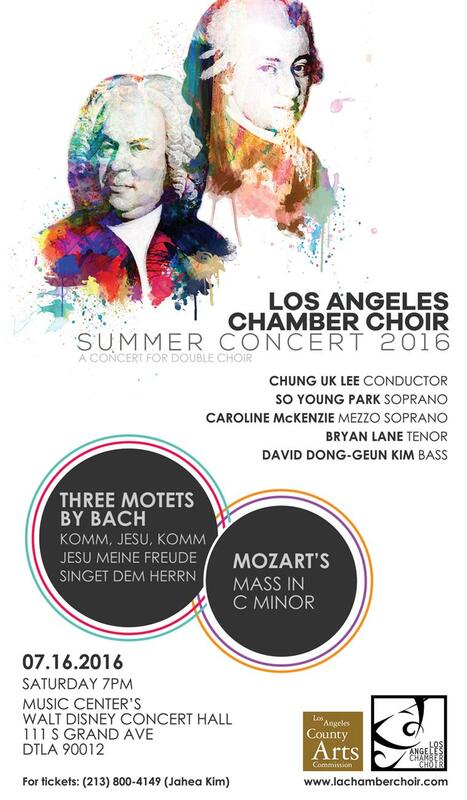 Please join us for the beginning of what should be another great year for Los Angeles Chamber Choir. 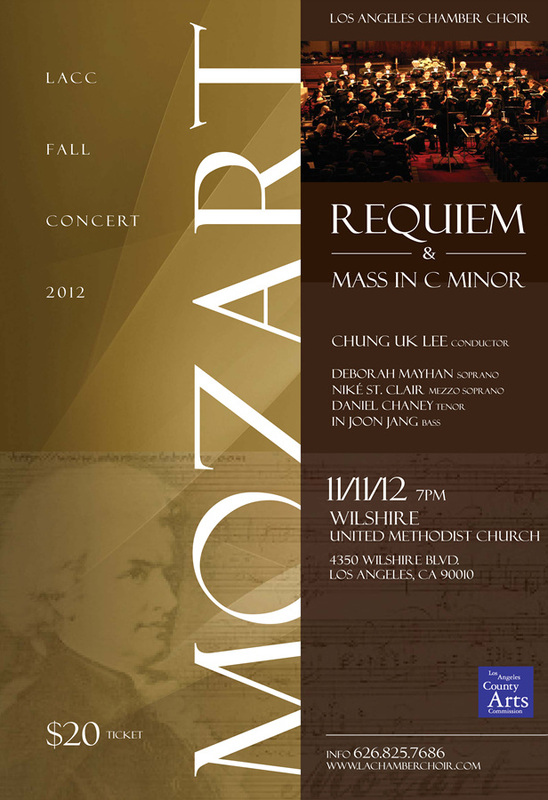 The concert will begin promptly at 7:30 in the evening on Sunday, April 2nd at The First Congregational Church of Los Angeles. For ticket information, please contact us. 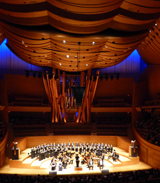 2015 Summer Concert at Walt Disney Concert Hall!! Celebrating the choir's 10th Anniversary!! Ralph Vaughan Williams' Dona nobis pacem. annivesary, but also because the theme was centered on war and peace. through the 10 years of its existence. 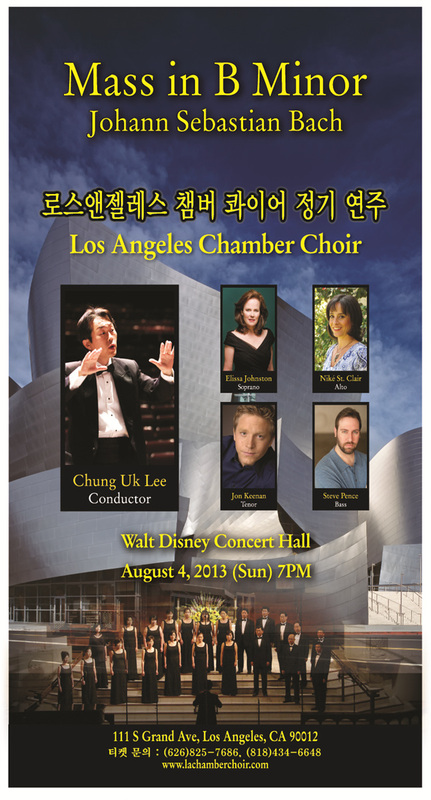 Los Angeles Chamber Choir's two soloists, Chunk Uk Lee and Sunmi Shin. Both soloists have brought the entire audience to its feet and even tears to some. It was truly, truly a collaboration worth cherishing for a long time to come. 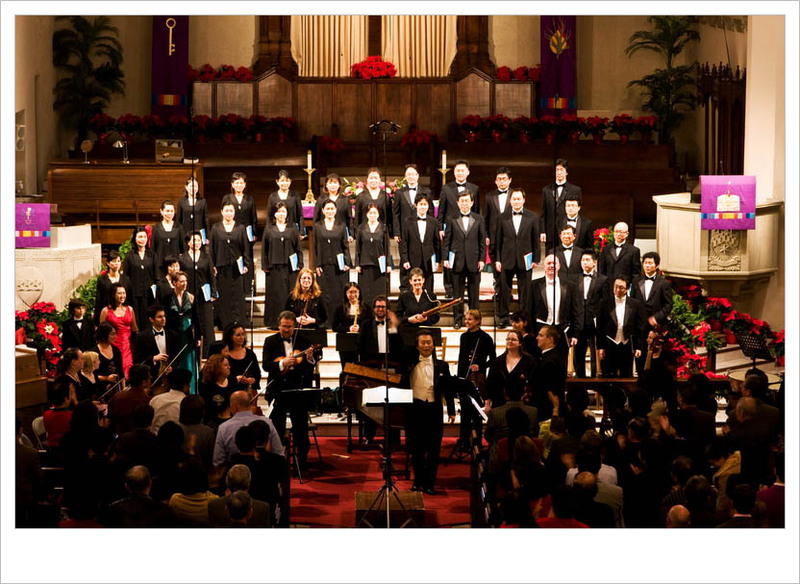 those in attendance enjoyed truly remarkable night of sacred choral music. the orchestra, and the soloists. It was indeed a spiritually enriching experience we won't soon forget. 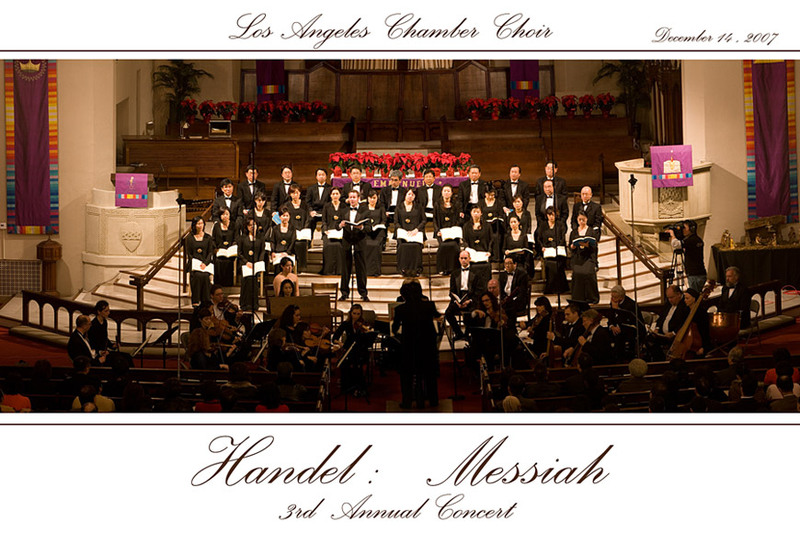 Los Angeles Chamber Choir held its 2012 Winter Concert Mozart's "Requiem" & "Mass in C Minor"
occassions, Los Angeles Choir performed many of its finest pieces over the years. this presentation has shorten the bridge between our audience and God. 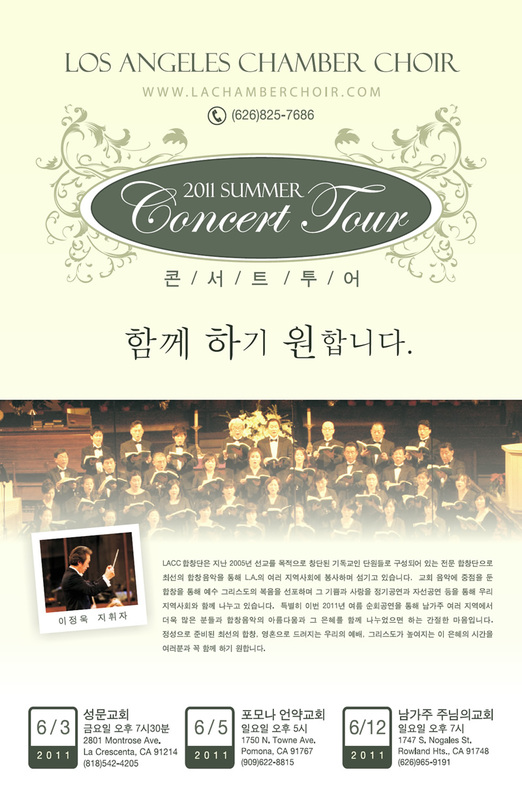 a unique and undeniable talents of Professor HYUN JOO HWANG as the organist. 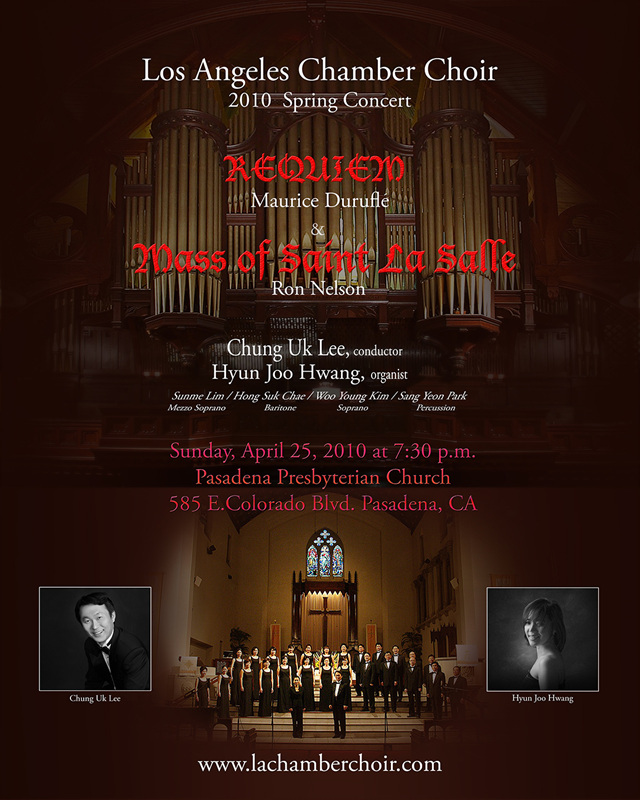 Mass of Saint La Salle, both well known pieces featuring the organ. in delivering the story and life of Jesus Christ. 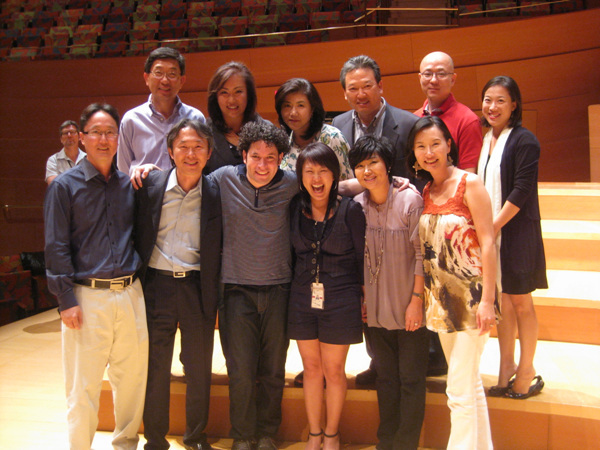 welcomed maestro Dudamel with an open concert at Hollywood Bowl on October 3, 2009.
invited several community choirs to join the famed Los Angeles Master Chorale. It was truly an amazing once-in-a-lifetime event! 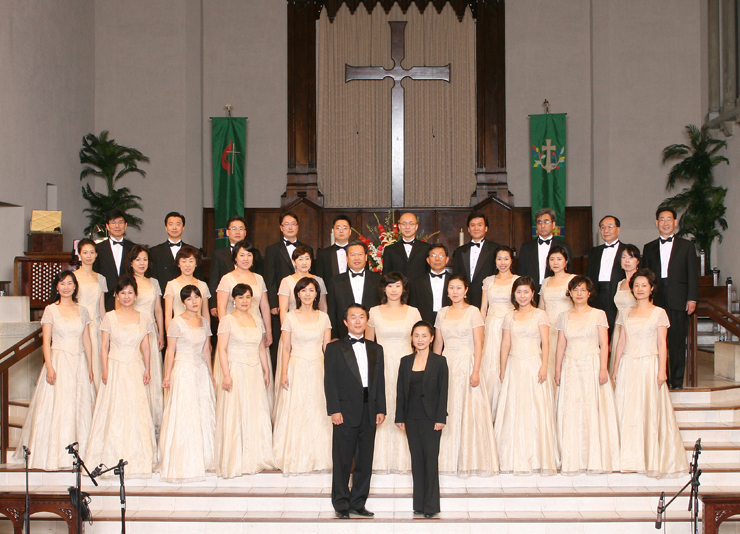 Our 2009 Spring Concert was held amid growing economic crisis that seems to affect all. we did just that and more! 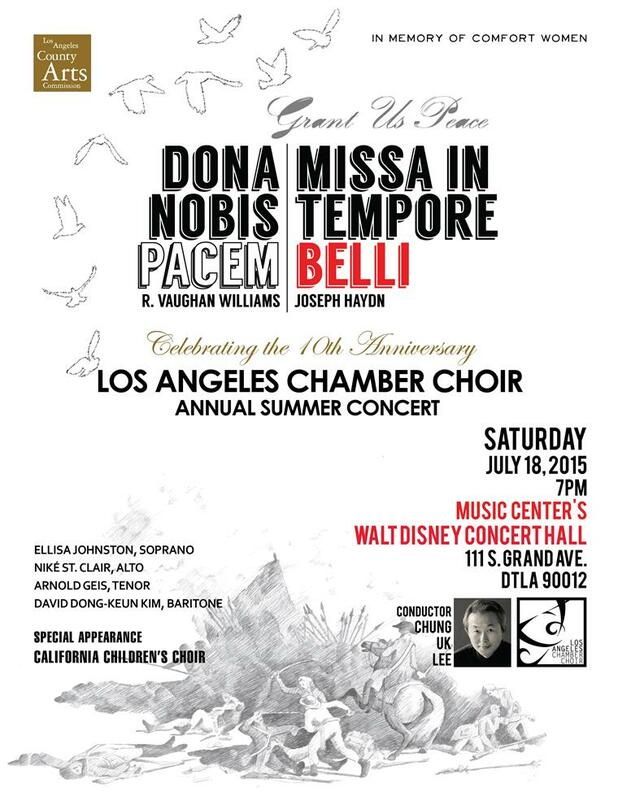 Los Angeles area, to present an unforgettable night of choral performances. 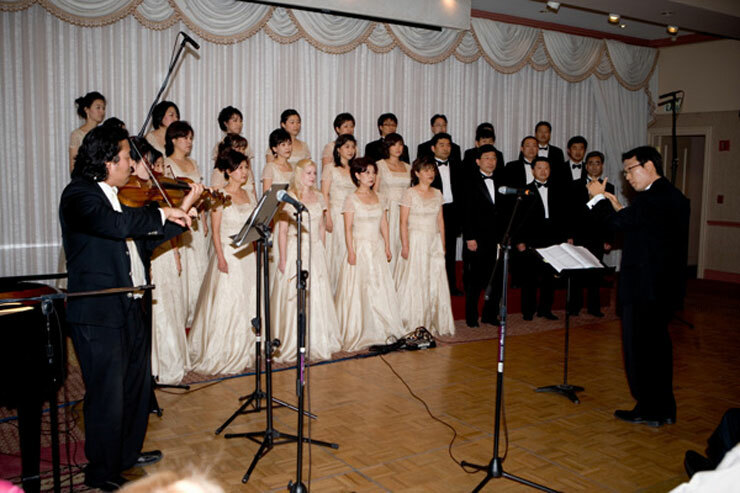 The 2008 Summer Concert was held amid great expectations from the audience. 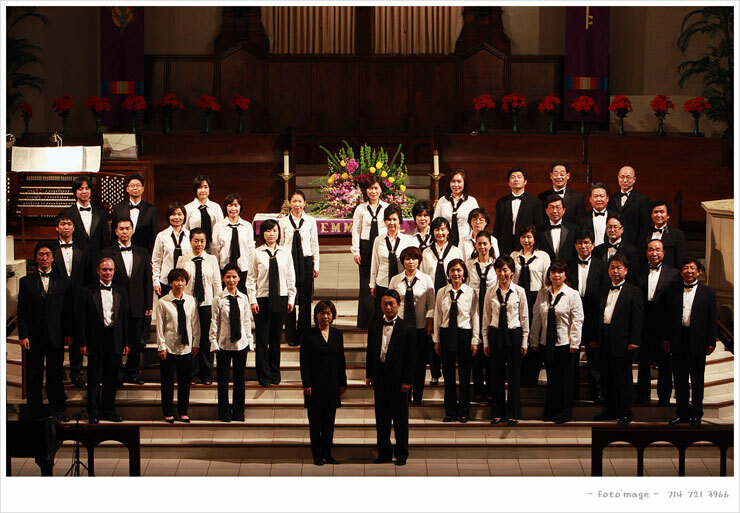 powerful performance covering both old and new Christian choral pieces. ranging from English to African dialect. 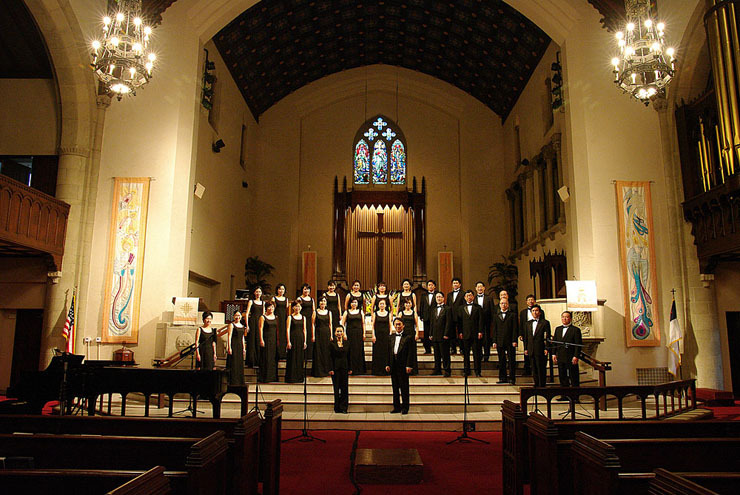 2007 Winter Concert marked the start of the metamorphosis of Los Angeles Chamber Choir. the original work by Handel. 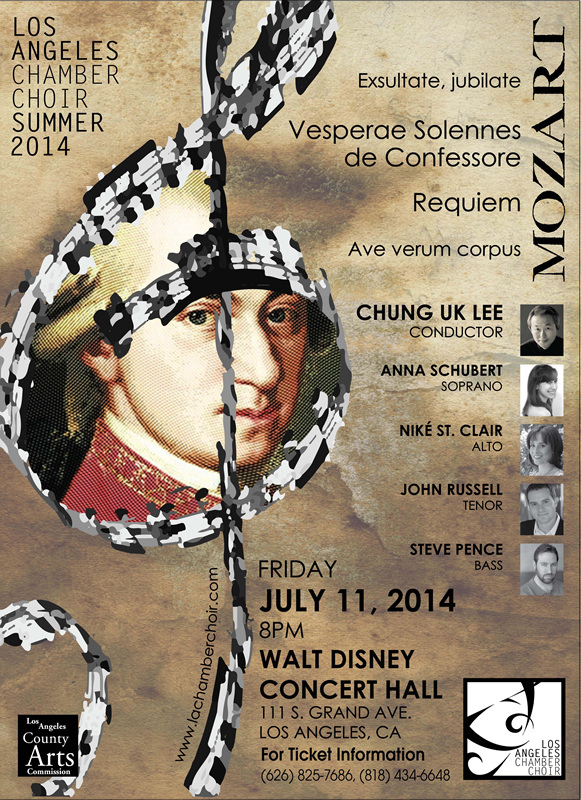 as well as pieces from soon to be held summer concert. 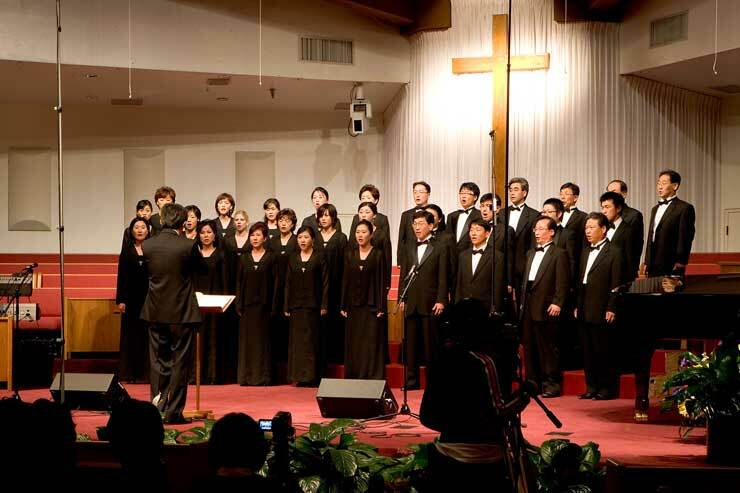 2006 Spring Concert "We are One"
with others in praising the Lord.